Sepp Blatter has been FIFA President since 1998 where the game of futbol has continued to increase in popularity all around the world and FIFA has become a financial machine. Yesterday, the Justice Department’s announcement unsealed a 47 count indictment against 14 defendants with such corrupt charges as racketeering, wire fraud, and money laundering. While Blatter himself has not been named, he deserves to go as FIFA President as these charges have occurred under his watch. Much of the corruption occurred with deals between FIFA, sports marketing groups, and broadcast corporations for the television rights to air the World Cup and other international soccer tournaments. Some of the charges date back to 1991, seven years before Blatter became FIFA President, and allege kickbacks of more than 150 million. Attorney General Loretta Lynch reported the findings yesterday and had this to say. 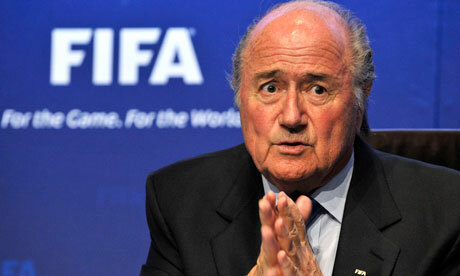 Blatter vows to look into misconduct. After the announcements yesterday, he had this to say.